The rally stalled at 2698.00, precisely where we had anticipated, but the shallow pullback that has occurred since means the futures are going higher. Those who went short at the target as I’d suggested can manage the risk as they see fit, but I would suggest a stop-loss that would preserve at least a small profit on the trade if it’s hit. 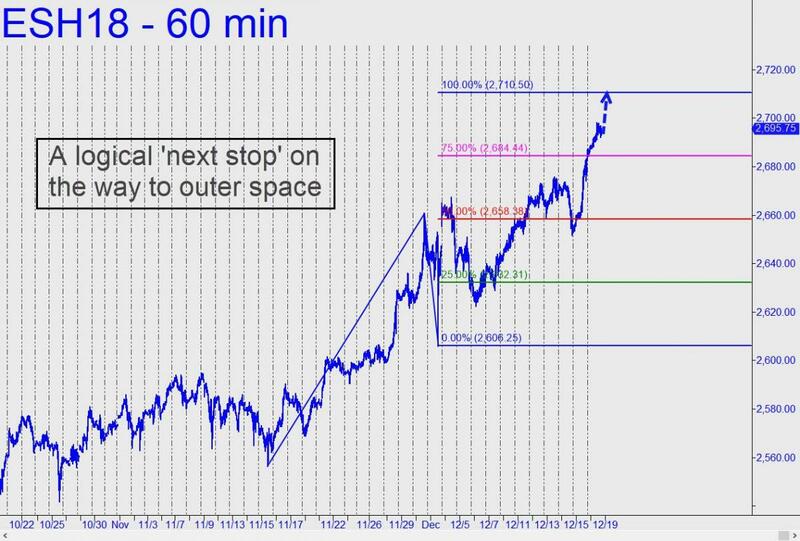 The next leg up can be expected to produce an equally precise stall at the 2710.50 target shown. Get short a single contract with a 2710.25 offer, stop 2712.25, but you can step up the size to four contracts if you’ve made money on the way to the target.